ackground: In the neonatal period the developing intestinal barrier function provides a sub-optimal mucosal defense against infection. Establishment of the normal commensal micro-flora plays a vital role in this process. Aims: To determine aerobic and anaerobic bacteria by quantitative and qualitative methods from faecal samples of neonates. Settings and Design: A prospective study was carried out in two groups in a tertiary care hospital, Group A-comprised preterm infant and in group B-full term infants. Materials and Methods: Sixty two preterm infants with the weight < 1500 gm and gestation age < 34 weeks and twenty nine full term infants with 4 weeks of age were included. Quantitation of bacterial load was done by ten-fold serial dilutions on respective media. Statistical Analysis: The data were analyzed by using EPIINFO-Ver 6.04. Results and Conclusions: The predominant aerobic bacterium was Klebsiella pneumoniae. In pre term infants aerobic bacteria were colonized with an average of 2.1 and anaerobic bacteria 0.1. Quantitation showed faecal bacterial colony count ranging from 10 4 -10 13 CFU/gms. Gram negative and gram positive bacteria increased gradually over an interval of 2 to 3 weeks. Mean log CFU of gram negative bacteria and gram positive bacteria were statistically insignificant from day 3 to day 14 (P > 0.05). On day 21 there was a significant change in colonization of both bacterial sp (P < 0.05). Potential pathogenic aerobic bacteria dominate the intestinal flora of premature babies nursed in neonatal unit. There is a need to investigate interventions to offset this imbalance in gut micro-ecology of premature babies. Background: Indwelling medical devices (IMDs) in critical patients are vulnerable to colonization by biofilm producing bacteria. Complex characteristics of bacterial biofilms promote antibiotic resistance, leading to the emergence of resistant device-related infections (DRI), which pose new challenges in their management. Materials and Methods : The study was done on 135 hospitalized (Intensive care units) pediatric patients with IMDs (intravascular catheter, urinary catheter, and endotracheal tube) to determine the device-specific infection rates. Biofilm formations were demonstrated by the tube method and by scanning electron microscopy (SEM). Bacteria in biofilms were identified by the standard conventional methods and tested for antibiotic resistance. We also detected the presence of extended spectrum β-lactamases (ESβLs), particularly, blaCTX-M, in gram-negative isolates. Results: The rates of biofilm-based catheter-related blood stream infections (CRBSI), catheter-associated urinary tract infections (CAUTI), and Ventilator Associated Pneumonia (VAP), in our study, were 10.4, 26.6, and 20%. 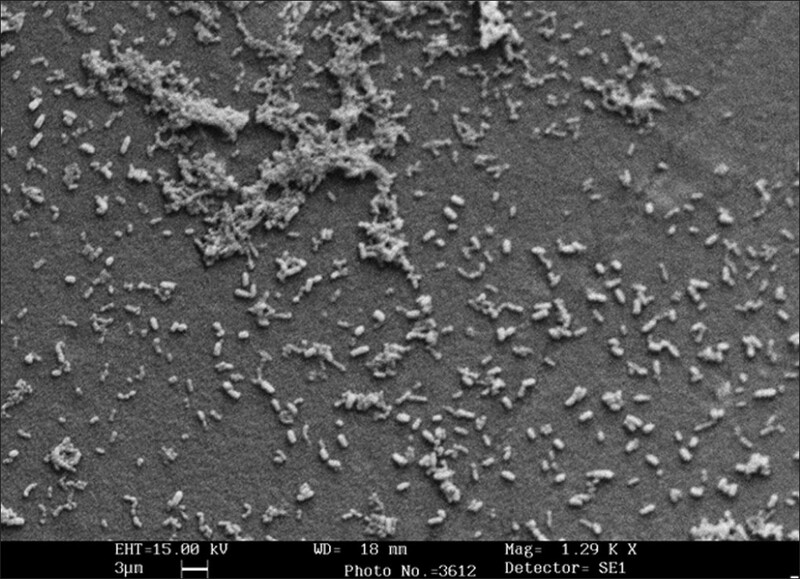 Biofilm formation by the tube method correlated well with the SEM findings. A majority of infections were caused by Klebsiella pneumoniae followed by Staphylococcal biofilms. A high percentage (85.7%, 95% confidence interval 64.5 to 95.8%) of biofilm producing bacterial isolates, causing infection, were multidrug resistant. Many biofilm producing gram-negative isolates were ESβLs producers, and a majority particularly harbored blaCTX-M, among the ESβLs genotypes. Conclusion: The incidence of resistant device-related infections, predominantly caused by biofilm producing bacteria, is rising. The tube method is an effective screening method to test biofilm production, where sophisticated microscopy facilities are not available. The varying resistance pattern of organisms isolated in our setup, emphasizes the importance of studying the pattern of infection in every setting and providing antibiotic guidelines in the management of such infections. Background: There is strong evidence regarding the patterns of alteration in the blood parameters in human immunodeficiency virus (HIV)-positive patients. However, no consensus has been reached in this regard and the results vary from different regions and studies. Our study aims to report these patterns in a population of HIV-infected patients in Iran. Materials and Methods: We studied two groups of HIV-infected and HIV-negative patients. One hundred and fourteen subjects were enrolled in each group; blood parameters were compared in these two. Results: Variables of HIV-negative patients changed as follows compared to HIV-positive patients: with regard to the hematological variables, CD4+↓; CD8+↓; WBC↓; RBC↓; HCT↓ ; MCV↑ ; MCH↑; MCHC↑; PLT↓; EOS↑; and BASO↑; and among the metabloic parameters, TG↓; CH↑; HDL↓; LDL↓, MG↑; ZN↑; P↑; and ADA↓, which showed significnat differences between groups (P < 0.05). Conclusion: We conclude that HIV infection affects hematopoiesis by diminishing the hematological productivity parameters and increasing red blood cell related morphology, along with a different pattern of lipid profile (decreased TG, LDL, HDL, and increased CH) and serum micronutrients (elevated concentration of serum trace elements) in our population of study. Chikungunya, an alpha virus belonging to the family of Togaviridae is transmitted to humans by the bite of Aedes aegypti mosquito and presents with fever, headache, rash, and severe arthralgia. Chikungunya virus is not known to be neurotropic, but cases of meningoencephalitis have been reported during outbreaks. The clinical, laboratory and neuroimaging findings of a 56-year-old man who initially developed Chikungunya fever with arthralagia and later on lead to Chikungunya myeloradiculopathy, a relatively unknown and rare complication of the infection has been presented. Clostridium sordellii is gram positive anaerobic spore forming rod and it has been demonstrated to cause gas gangrene, refractory shock, leukemoid reaction, and pleuroperitoneal effusion due to capillary leak. We report here a case of postpartum female who presented with leukemoid reaction, ascites, pleural effusion, and shock without fever 7 days after normal vaginal home delivery. This case report describes a patient presenting with anterior knee pain (extensor mechanism pain), a poorly studied complaint in the HIV population. 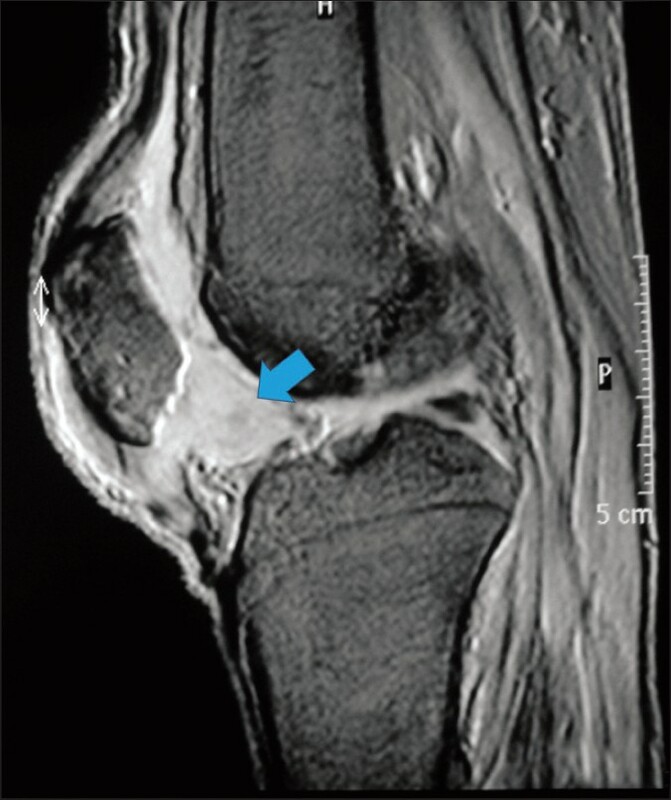 The final diagnosis was malignant fibrohistiocytoma, a rare condition among knee pathologies, successfully treated with endoprosthesis after tumor resection. This article focuses on what the authors learned after treating this patient, particularly on the difficulty in making a correct diagnosis of this group of patients due to lack of adequate epidemiological characterization. By assuming that the pathology was related to long-term infection and treatment of HIV (knee hoffitis), the authors underestimated the gravity of the case, almost compromising the result of treatment. 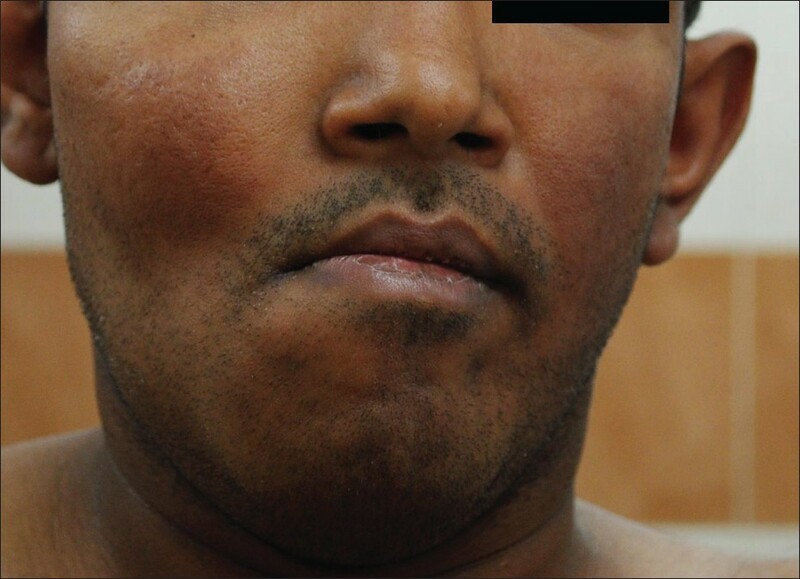 McCune-Albright syndrome (MAS) comprises a triad of fibrous dysplasia of bone, cafι-au-lait macule, and endocrinopathy. The disease is due to activating mutation of G protein-coupled receptor leading to hyperfunction of glands. Hansen's disease is caused by infection with Mycobacterium leprae and is seen with underlying immunosuppressed conditions in genetically predisposed individuals. We recently encountered a patient with Hansen's disease along with underlying MAS and report the same in this report. Urinary tract infections caused by non-typhoid Salmonella are rare and usually develops in patients with predisposing factors such as immune deficiency or occult urologic problems. 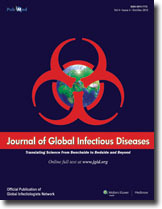 This report describes a case where Salmonella Group D was isolated from the blood and urine of a patient with documented human acquired immunodeficiency syndrome who developed urosepsis and was successfully treated with antibiotics. The methylotrophic yeast Hansenula polymorpha, used mainly as an industrial agent in the production of pharmaceuticals, has rarely been reported to cause disease. 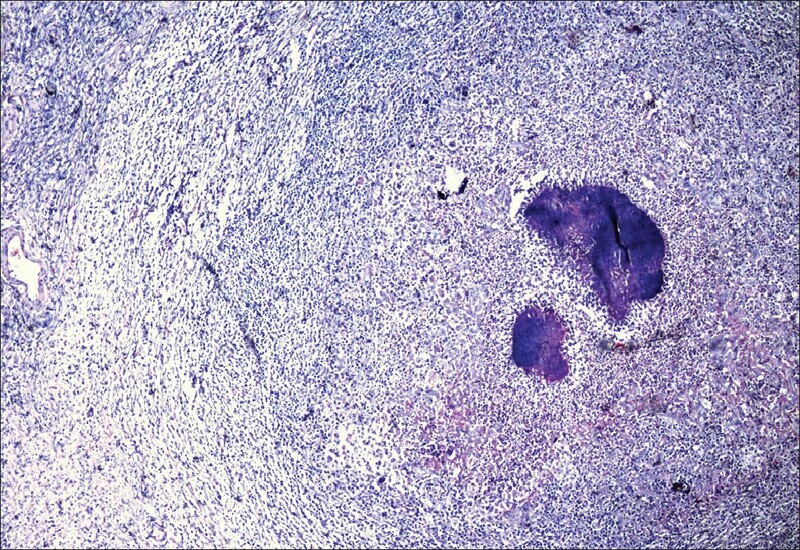 The case of a 47-year old Pilipino male with pancreatic cancer presented here is the second reported in the literature. Major risk factors for this infection included underlying malignancy, abdominal surgery and the use of a peripherally-inserted central catheter for total parenteral nutrition. He was successfully treated with a two-week's course of voriconazole.